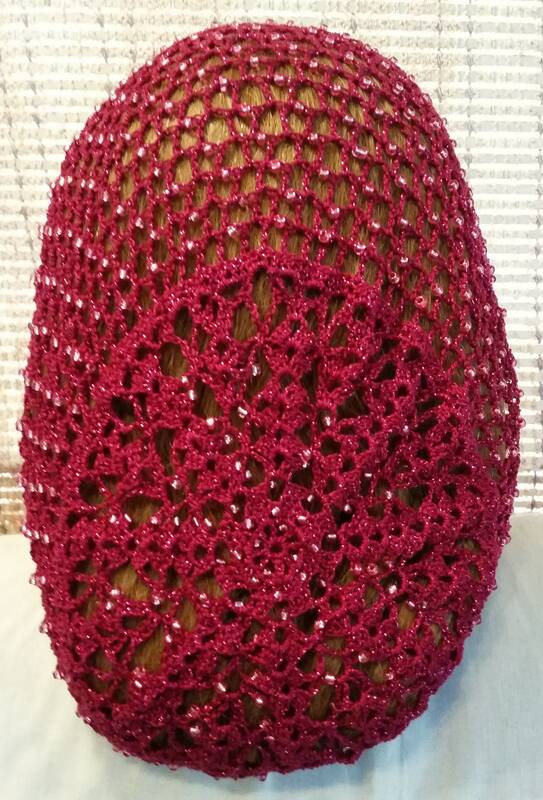 This is my Lacy Bouquet snood pattern hand made in your choice of metallic/cotton combination thread with your choice of beads on every row in the 12" Long length. I will make this style for you in any available color of thread and bead color that you would like. Please allow 2-4 weeks for delivery to give me time to get it made for you. Note: The colored beads are an E bead and are approximately 4mm in size. Only gold, silver and Pearl beads are offered in different sizes. 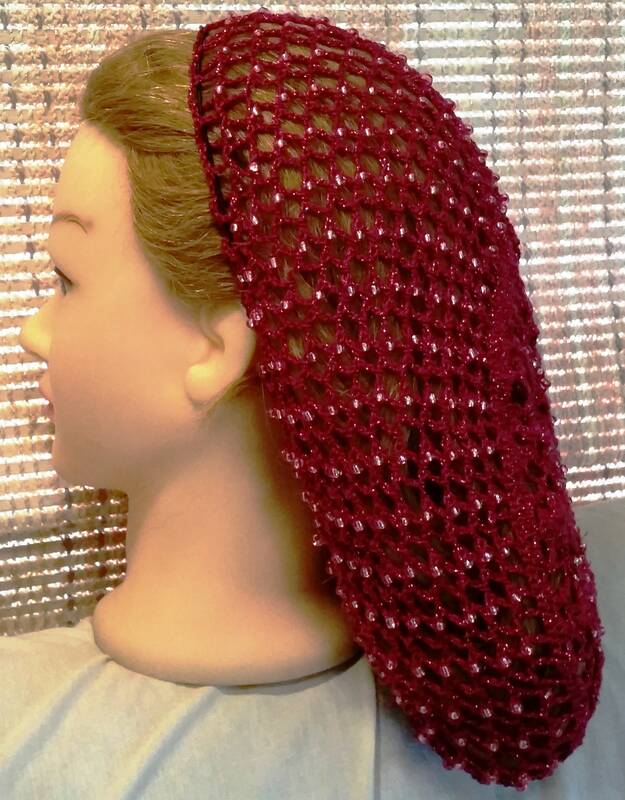 The one pictured is a new thread in Magenta/Pink with Pink beads. More pictures to come soon.